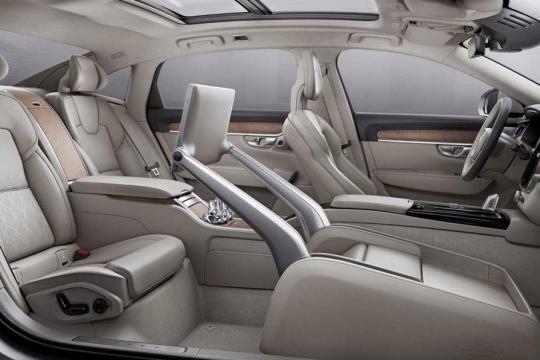 The new Volvo S90 Excellence, a three-seater saloon that swaps its front passenger seat for an infotainment system and extra rear leg room, has been revealed. The China-only S90 Excellence is based on the stretched underpinnings of the S90 L, a long wheelbase version of the S90 unveiled alongside it in Shanghai and so measures 120mm longer than the regular car. 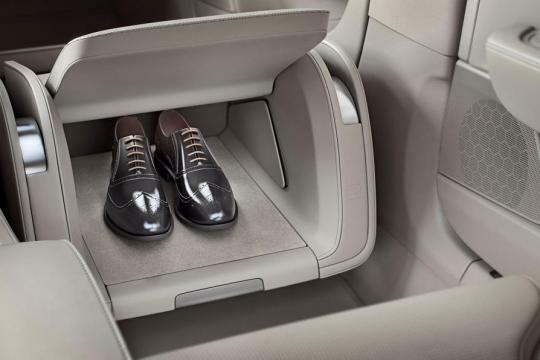 The Excellence is designed specifically to cater for the unique demands of wealthy Chinese customers, who often prefer to be driven rather than drive themselves. Along with the extra rear space available due to the absence of the front right passenger's seat, the Excellence has a standard-fit panoramic roof, foldout worktables and a heated and cooled cupholder. It also gets the technological interior features of the regular S90, which include Apple CarPlay and Android Auto smartphone connectivity. Drivers are assisted by Volvo’s Large Animal Detection system, which can spot animals such as deer and cows and apply the brakes to mitigate any potential impact. Pilot Assist is included to enable semi-autonomous drive modes that allow the car to control the throttle and brakes at speeds of up to 81mph. 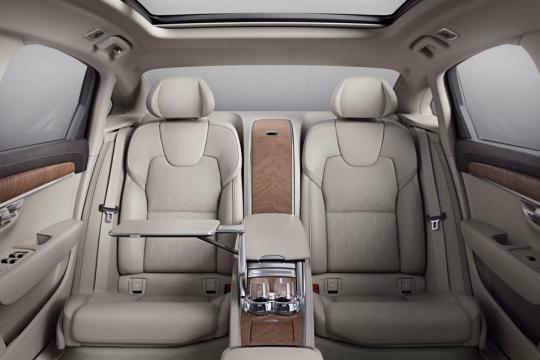 The S90 models will be available with Volvo’s CleanZone air filtration system, which uses an ionic air cleaner in the air conditioning system to filter out particles passing into the cabin. Powering the two new Chinese models at launch are a choice of two engines: a 187bhp T4 and 251bhp T5 petrol, as with the regular S90 model in China. In early 2017, a T8 hybrid petrol will join the ranks with 401bhp and a 31-mile pure electric range. The S90 L goes into production in November of this year in China, with the S90 Excellence following in 2017. The model is only confirmed for that country, but market demand could allow it to be offered elsewhere. An excellent concept. 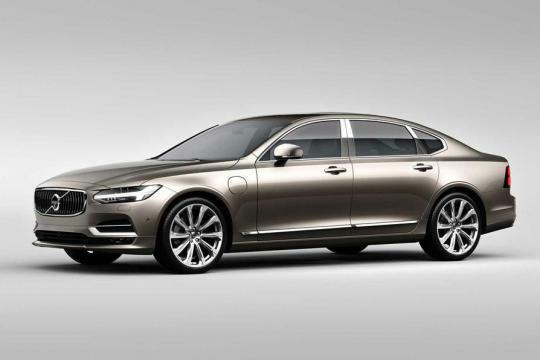 Why Volvo is so selfish to keep this S90L Excellence in China only? Who doesnt want the car to be as long as possible? 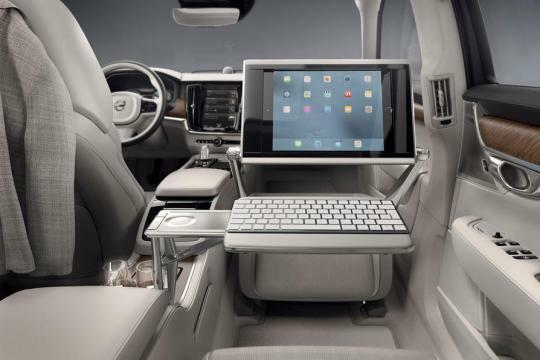 Who doesnt want to have max rear seat legroom as possible? The removal of front passenger seat is such a no brainer yet no manufacturers bother to do it. 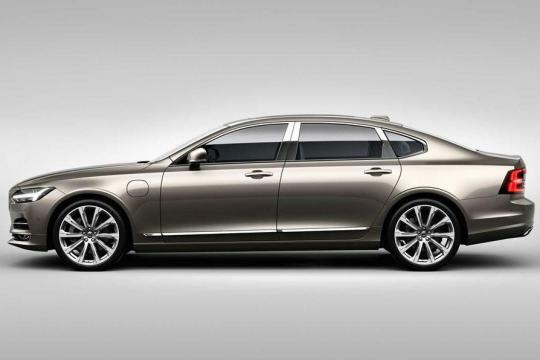 I am sure this S90L Excellence will sell very well in SG if Volvo is able to see its potential outside China. Imagine it being used as Uber Executive... Who needs E220 or Chrysler 300 taxi with this plying the road? This may be a cheaper alternative to a Rolls Royce or Bentley for ferrying corporate clients or visitors.